Work to commence on £60k Investment to provide new storm sewer for New Street / Canal Street, Newry. NI Water together with our appointed contractor Conwell Contracts Ltd. will commence work on a new storm sewer on New Street / Canal Street, Newry in September. The first section of work on New Street will begin on Monday 24 September 2018 and following completion of this section, work will progress onto Canal Street. We anticipate the work will take 6 weeks to complete overall. The proposed construction work will involve laying approximately 165m of storm sewer and associated manholes on New Street and Canal Street, Newry to serve a new social housing development. Phase 1 – A lane closure will be in place for 2 weeks on New Street and Canal Street, with no right turn from Canal Street onto New Street. Phase 2 – The southern end of Canal Street will be closed for 2 weeks. Phase 3 – The northern end of Canal Street and the junction with New Street will be closed for 2 weeks. There will be no through traffic on the southern end of Canal Street during this time. All appropriate signage and diversion routes will be in place during these times. NI Water would like to remind the public that all businesses on New Street / Canal Street remain open for business as usual during these works, with pedestrian access available at all times. Normal working hours will be 8.30am to 5.30pm Monday to Friday; however, it may be necessary at times for work to be carried out outside of these hours. Grahame Millar project sponsor said: “NI Water is pleased to install this new storm sewer to facilitate the development of 15 new property units at Ogle House for social housing. “The removal of storm water from the existing combined sewer will also increase the capacity of the existing sewers as well as reducing the likelihood for out-of-sewer flooding and environmental pollution in the future. 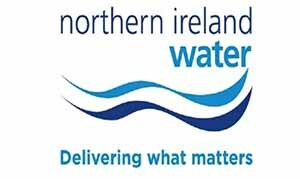 “NI Water fully appreciate that work of this nature can be disruptive, particularly where road closures are concerned, and we will take every measure possible to keep this to a minimum.